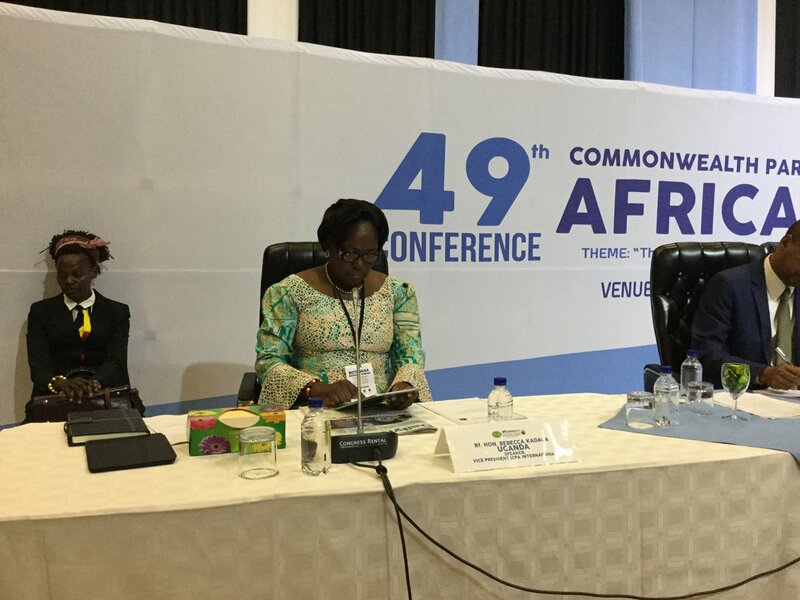 GABORONE – Parliamentarians under their body, the Commonwealth Parliamentary Association (Africa Region), have pledged to put in place measures aimed at curbing the increase in human trafficking on the continent. The legislators meeting in Gaborone, Botswana for their 49th Meeting committed to enact tougher laws on human trafficking and modern-day slavery where the laws are non-existence and modify the existing laws to make them tougher. These resolutions were reached following a topical discussion on the ‘agenda to combat human trafficking and modern-day slavery in Africa and the promotion of human rights’, on Monday, 20 August 2018. There have been increased cases of human trafficking across the African continent with reports of alleged modern-day slavery in several Middle Eastern countries. There are also continued reports of persons attempting to cross the Mediterranean Sea with the hope of seeking better opportunities in Europe. These are often trafficked and overloaded on boats, which often capsize killing many. The Speaker of Parliament, Rebecca Kadaga, said there is a need to raise awareness and work with religious organisations in efforts to curb human trafficking. “Many of the people are trafficked through churches and mosques where they are collected and eventually trafficked,” she said. Kadaga added that African governments must have the courage to discuss the problem with governments that receive these people saying immigration has become inevitable. “People are going to be moving to other places; we must identify the places the people will go, discuss with them the employment, type of work and hours of work,” Kadaga added. On the legal procedures against people involved in trafficking of persons, the Speaker expressed reservations about the processes saying they are weak and slow, hence hampering the fight. “I have been waiting for a conviction in trafficking in Uganda; I think for the last four or five years, I have heard of only one. Our processes of investigation, prosecution and management of court cases need to be handled comprehensively on the African continent,” she said. Kadaga also called for collaboration between member countries in joint efforts in the fight highlighting the trafficking of persons through Nairobi after it was stopped at Entebbe Airport. “We need to work together country to country to ensure that people are not using these channels to move, otherwise it is going to continue,” Kadaga said. Hon Simai Mohammed from Tanzania said that the trafficking of persons is the third largest source of profits for organised crime after drugs and guns citing the unreliable contracts for housemaids in the Middle East. He attributed trafficking to poverty, unemployment or war. “We have done something through EALA with a Bill to curb this trafficking. We should be ready to ratify agreements and protocols that stop the trafficking. It is imperative for governments in Africa to make laws against these traffickers and enforce the legislation,” he said. Hon Akello Franca called on African governments to tackle unemployment by providing job opportunities so that traffickers don’t take advantage of vulnerable persons. The legislators also called for information sharing on human trafficking and modern-day slavery, the creation of a human trafficking hotline and a joint task force to tackle the problem. 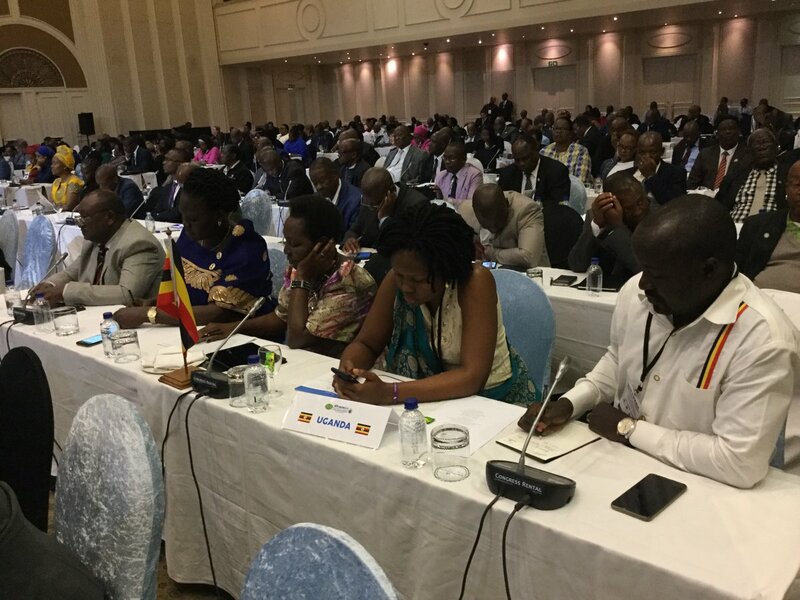 Uganda’s delegation to the conference includes Hon JaliaBintu, Felix Kulayigye, Paul Amoru, Elijah Okupa and Anna Adeke. The others are Henry Kibalya, Patrick Nsamba and Akello Franca. The 49th Meeting of the CPA(Africa Region) closes Tuesday, 21 August 2018.